Several nooses were found hanging outside of the Mississippi Capitol building on Monday, a day ahead of a highly anticipated and controversial special election in the state. State officials said the nooses were accompanied by handwritten signs mentioning lynchings and Tuesday’s special Senate runoff, which has drawn attention to Mississippi’s history of racially motivated violence. The Mississippi Department of Public Safety, which is investigating the incident, said the items were placed there early Monday morning. Anyone with information about the “several suspects” likely responsible has been asked to contact the department. 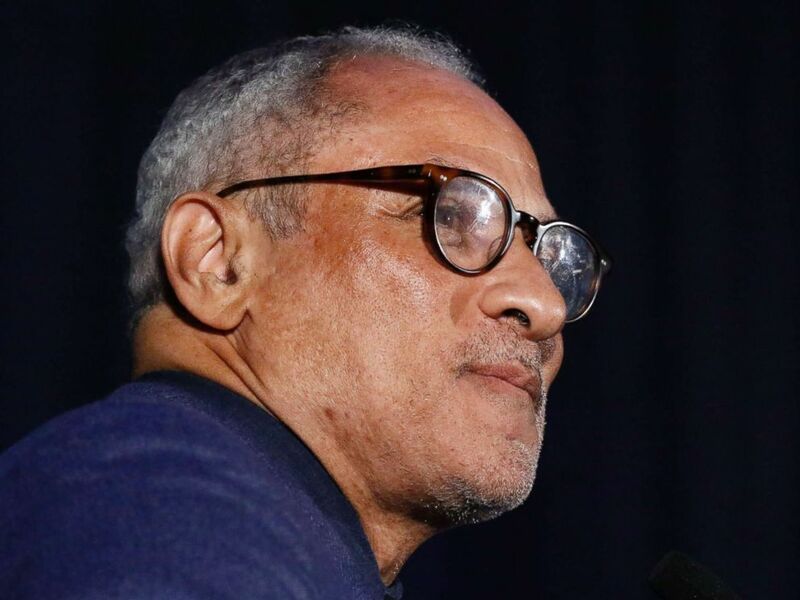 Former U.S. Secretary of Agriculture Mike Espy attends an event in Jackson, Miss., Feb. 23, 2018. The signs, written in red, black and green — the colors of the Pan-African flag — appeared political, focusing mostly on the special election and high-profile African American lynching victims, according to pictures posted by the public safety department. “On Tuesday, November 27th, thousands of Mississippians will vote for a Senator. We need someone who respects lives of lynching victims,” one sign read. “We’re hanging nooses to remind people that times haven’t changed,” read another. Another sign referred to Emmett Till, a 14-year-old African American who was lynched in 1955 for allegedly whistling at a white woman. Another sign noted that Mississippi had the highest record of lynchings between 1882 and 1968 — a statement backed by data on the NAACP’s website. There were 4,743 lynchings in the United States between 1882 and 1968 and almost three-quarters of the victims were black, according to NAACP. Mississippi had the most of any state during that time — 581. 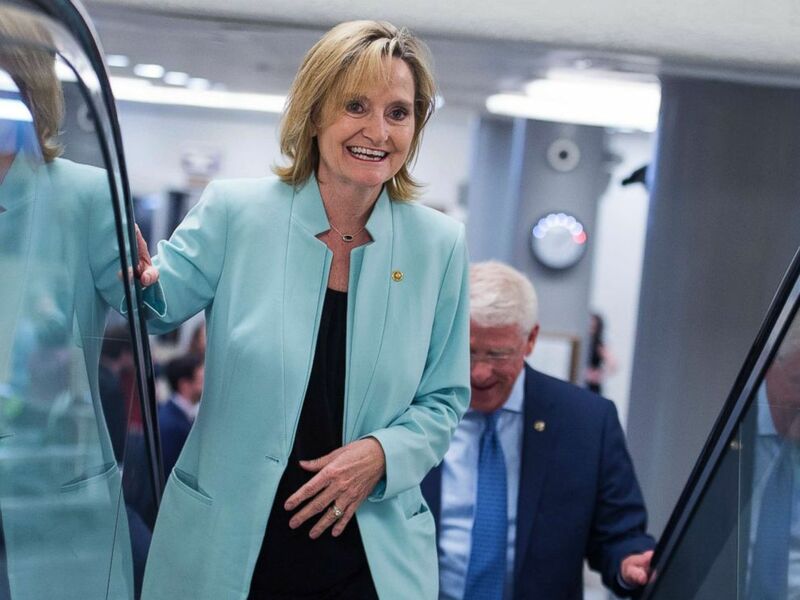 Senator Cindy Hyde-Smith heads to the Senate Policy luncheon in the Capitol, June 26, 2018. In the early hours of Monday morning, authorities believe several suspects were responsible for posting the signs shown here on the lawn of the Mississippi State Capitol, along with several nooses. We need your help to ID those involved. “Let us all respond to these despicable acts by voting, working, raising our families, practicing our faith and pursuing the American dream here in our great state without fear or trepidation and in harmony with our fellow citizens,” he added. The incident came ahead of the closely watched Senate runoff between Republican incumbent Cindy Hyde-Smith and Democrat Mike Espy, who’s vying to become the state’s first black U.S. Senator since Reconstruction. Hyde-Smith apologized “to anyone that was offended” by the comment, which she intended as an “exaggerated expression of regard” for a local rancher who invited her to speak. Major League Baseball, Pfizer, Walmart and AT&T are among groups and corporations that have asked her to return political contributions in the wake of that scandal.